The Revenue Committee heard testimony on three bills Jan. 31 that would require out-of-state internet retailers to collect and remit state sales tax on purchases made by Nebraska residents. The U.S. Supreme Court ruled last June in South Dakota v. Wayfair that a state may require online retailers without a physical presence in the state to collect and remit state sales tax. In a July statement, the state Department of Revenue said remote sellers engaged in business in Nebraska must, before Jan. 1, 2019, begin collecting and remitting tax on sales made to customers in Nebraska. The department said it would administer the sales tax collection consistent with the court’s ruling, which upheld South Dakota’s exception for small retailers with sales of $100,000 or less or 200 or fewer annual transactions in the state. LB18, introduced by Albion Sen. Tom Briese, LB284, sponsored by Omaha Sen. John McCollister, and LB291, sponsored by Elkhorn Sen. Lou Ann Linehan, would require online retailers exceeding either of those thresholds to collect and remit state sales tax. 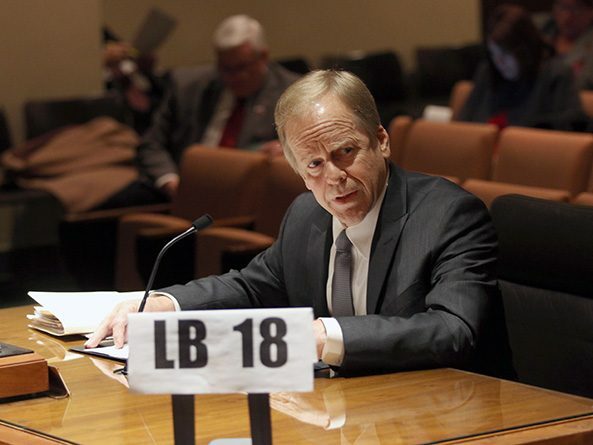 LB18 also would require the department to determine the amount of sales tax collected and remitted by remote sellers each year, and it would direct that amount to the state’s property tax credit cash fund. LB284 and LB291 also would require “marketplace facilitators” or “multivendor marketplace platforms”—online marketplaces such as Amazon or Ebay—to collect and remit state sales tax for the smaller sellers they serve if the marketplaces meet the minimum thresholds. Sarah Curry, policy director at the Platte Institute, testified in support of all three bills. 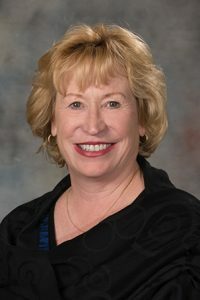 Although the state Department of Revenue requires remote sellers to begin collecting and remitting state sales tax as of this year, she said, it cannot legally enforce that regulation because it is not in state law. 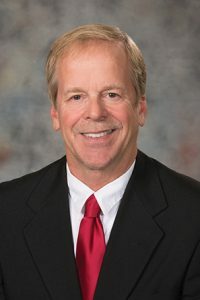 Jim Otto, president of the Nebraska Retail Federation, testified in support of LB284 and LB291 on behalf of the federation and the Nebraska Grocery Industry Association. To protect Nebraska brick-and-mortar retailers that compete with online sellers, he said, state law needs to include the minimum sales thresholds and a requirement that online marketplaces collect and remit state sales taxes for third-party sellers. 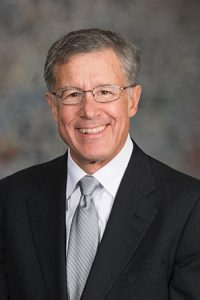 State Tax Commissioner Tony Fulton testified in support of LB291, saying it is needed to provide clarity and protection for online sellers that meet the thresholds and to enhance the department’s ability to enforce collection of the tax. However, he disagreed with a Legislative Fiscal Office estimate that LB291 would increase state revenue by approximately $19 million over the next two fiscal years. He said any additional revenue attributable to the Wayfair decision was included in the Nebraska Economic Forecasting Advisory Board’s October forecast. In its fiscal note, the LFO states that the board’s forecast included only the estimated sales tax revenue from marketplace platforms that collect and remit state sales tax voluntarily as a result of Wayfair. The LFO estimates an increase in state revenue as the remaining sellers begin collecting and remitting state sales tax as required by LB291. No one testified in opposition to the bills and the committee took no immediate action on them.